As impressive as the Vikings’ accomplishments as raiders and warriors were, their accomplishments as explorers and settlers were equally magnificent. The Vikings ventured far from their homelands in Scandinavia and became the first Europeans to discover Greenland and even North America (which they called “Vinland”) – roughly 500 years before Christopher Columbus. 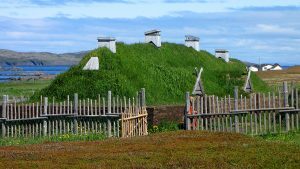 Along the way, they became the first people to establish sizable settlements in Iceland and other North Atlantic islands, and also colonized the territories their warriors conquered throughout northern Europe. These explorations and settlements have had a decisive impact upon these places that persists even today. The Vikings’ motivations for faring so far across the globe and founding new settlements in the lands they reached were as varied as the individuals who undertook these tremendous projects. But a few motives stand out as being especially strong and generally applicable. In places that the Vikings were the first sizable group to explore and/or settle, these were the quest for fame, prestige, and honor; the desire for the level of personal freedom that one can only find in a sparsely-populated area with no pre-established government; and the ability to take advantage of virgin natural resources. In places where the Vikings conquered existing populations, they were driven by political ambitions, the desire for wealth through tribute and the control of trade, and, as in newly-inhabited lands, the ability to make a name for oneself. The Faroe Islands were the first largely uninhabited lands in the North Atlantic Ocean that the Vikings reached in the main, westward part of their expansion. The Faroes, which jut out abruptly from the ocean, are located about halfway between northern Scotland and eastern Iceland. An Irish monk, writing in 825, says that they had been inhabited by Irish monks for generations, but that these holy men left the islands when the pagan Norse settled in, a feat treated as already accomplished by that point. The Norse named the islands the Færeyjar, “Sheep Islands.” The islands were treeless, so the settlers built their homes out of turf and rock. The islands’ economy was heavily dependent on livestock and harvesting the products of the sea, particularly fish, whales, and birds. As with the Faroes, legend has it that a few Irish monks already lived in Iceland prior to the Vikings’ arrival. This is certainly plausible, especially since it seems that the Norse already knew of Iceland’s existence prior to their first trip there. In any case, if they were there before the Norse arrived, they left soon after, presumably because they didn’t want their hallowed solitude disrupted – especially not by pagans. The first Viking party to Iceland set foot on its shores in about 860. It was exploratory in nature, and no one stayed around to settle. The island was given its name by a member of that party named Floki (Flóki Vilgerðarson), who was dismayed by the harshness of the winter. Norse settlement of Iceland began in about 870. 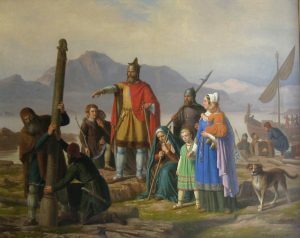 Around half of the settlers seem to have come from the region of Norway around Bergen, with their chief motivation having been to escape the draconian rule of King Harald Fairhair. The other half came from other parts of Scandinavia and the British Isles. By 920 or 930, all of the land suitable for farming had been settled, and by the middle of the tenth century, Iceland had tens of thousands of inhabitants. The original population of Iceland seems to have had a significant Celtic admixture, so a number of Celts must have accompanied the Vikings as spouses, slaves, or in some other capacity. There were Christians among the original settlers, and the proportion of Christianity relative to paganism increased over time, with the official conversion around the year 1000 being a watershed year in the process. Although Iceland remained a free state for centuries, Norway exerted a significant cultural and political influence over it, surely due to the significant number of Norwegians amongst the early settlers. In the mid-thirteenth century, well after the end of the Viking Age, Iceland formally submitted to Norwegian rule. According to the medieval Icelandic sagas, the founder of the Viking colony in Greenland was Erik the Red, so named because of his fiery red hair and beard. Erik was a Norwegian by birth, but was outlawed in his native land “because of some killings,” as the sagas put it. He fled to Iceland, but soon found himself in trouble there, too. Rumors had been circulating that a Viking explorer had glimpsed a new land west of Iceland, but hadn’t gone ashore. During his years of banishment from Iceland, Erik decided to investigate this new land. When his sentence as an outlaw was up, Erik returned to Iceland with wondrous tales of this new land. Evidently a gifted marketer, he called the place “Greenland” (Old Norse Grœnland) in an attempt to persuade others to join him in settling it. The name “Greenland” wasn’t an outright lie, since there were a few coastal sections of the southern part of the island that were sufficiently “green” to settle and raise livestock. But it was rather misleading, since most of the land was covered with glaciers and ice fields, and the climate was considerably colder and less hospitable than that of Iceland. Erik’s persuasion was successful, and in the summer of 985, twenty-five ships set sail for Greenland. But conditions at sea were rough, and only fourteen made it to Greenland. The others either turned back or disappeared. Those who made it settled in two areas in the southern fjords of the island about 400 miles apart from each other, which came to be called the Eastern and Western Settlements. These areas were otherwise uninhabited, as the Inuit lived farther to the north during that time. Farmsteads were fairly dispersed so that everyone would have enough land to graze their herds and make hay for winter. Despite how marginal the land was, the sea was teeming with life. Many of the sea creatures of Greenland’s coastal waters – such as walruses, seals, and whales – were highly prized in Europe, as were some of the wild animals who lived on land – foxes, bears, and caribou among them. These animals enabled the Greenland Vikings to make a good living through trade with Europe. This was very fortunate for them, because the meagerness of the land made them particularly dependent on trade with the outside world to obtain basic goods like wood. Sometime between the fifteenth and seventeenth centuries, the entire Norse population of Greenland mysteriously vanished. While there are various theories that attempt to account for their disappearance, no one really knows what happened to them. The first Vikings to see North America were (again, according to the sagas) a man named Bjarni Herjolfsson and his crew, who were blown off course while attempting to reach Greenland. They never stepped ashore, though, and turned back to Greenland when the weather improved. Shortly after Greenland was settled – sometime in the late tenth century – Erik’s son, Leif Eriksson “the Lucky,” was so moved by Bjarni’s story that he decided to set sail for this westward land. He may have been particularly interested in finding wood and other resources that were lacking in Greenland’s harsh climate. Leif and his crew first stepped foot on North America at a place they called Helluland, “Flat Stone Land,” a desolate land of mountains and glaciers. This was probably Baffin Island off the northeastern coast of Canada. From there, Leif and his crew sailed south, and came to Markland (“Forest Land”), probably the Labrador coast. Two more days of sailing southwest brought them to Vínland, “Vine Land.” “Vinland” seems to have encompassed modern-day Newfoundland to New Brunswick – basically the coastal areas around the Gulf of St. Lawrence in eastern Canada. Leif and his crew overwintered in Vinland before returning to Greenland in the spring. In the following years, others retraced his route and attempted to settle in this new land, but all were driven out by the natives after having stayed no more than a few years. Despite the briefness of their stay, the Vikings who reached North America have left traces of their presence in the archaeological record. 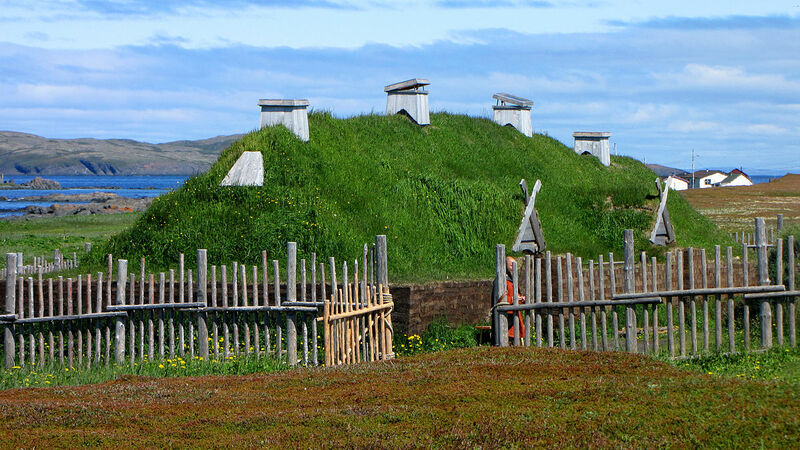 Two Viking sites have been discovered on Newfoundland: one at L’Anse Aux Meadows near the island’s northern tip, and one further south and west. It’s highly likely that the Vikings attempted to settle elsewhere along the northeastern coast of North America. But if so, all traces of their settlements have vanished with the arrival of other Europeans many centuries later, who would have settled in many of the same areas. Intriguingly, a late Viking Age Norwegian coin has been found in an Indian settlement in the present-day US state of Maine. It could have gotten there as a result of Vikings attempting to settle in the area, or it could have been the product of trade between that Indian group and others further north. Thus, it doesn’t provide conclusive evidence that the Vikings made it that far south. The Vikings didn’t just explore and settle new territories. They also settled in the lands in Europe that they conquered through warfare. In such cases, it was sometimes just the warriors themselves who settled down, began working the land, and took wives from among the native population. At other times, whole families moved from Scandinavia to the newly-conquered territories. In the British Isles, for example, the Scandinavian genetic contribution to some areas is evenly split between men and women, whereas in other places it’s overwhelmingly male. Viking rulers in conquered territories largely adapted to what was expected of a ruler in those lands rather than simply imposing Scandinavian customs on the populace. Viking rulers in non-Norse lands often maintained good relations with the Christian Church, used written documents in governance, and even minted coins. Their Viking followers did likewise, to the point that archaeologists often find it nearly impossible to distinguish the graves of Vikings from the graves of non-Vikings in Viking-controlled territories. 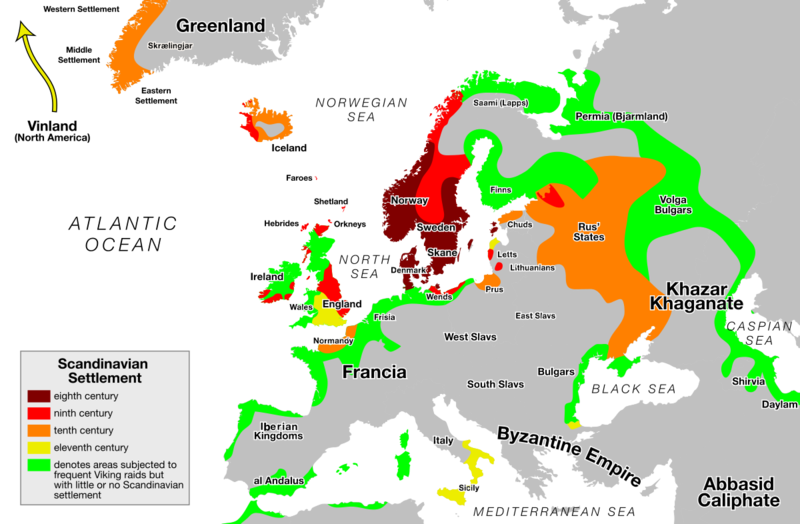 The Viking conquest with the deepest and longest impact was that of the British Isles. The Scandinavians who migrated to England, Scotland, and Ireland forever changed the character of those countries. Perhaps this should be unsurprising given the sheer extent of Viking rule in these places. By the late ninth century, the Norse controlled virtually all of England besides Wessex, and large swaths of Scotland and Ireland as well. The Vikings settled northern Scotland especially heavily, mostly due to the fact that it was both close to Norway and a convenient jumping-off point for raids in England and Ireland. The Norse found and conquered lots of already-thriving settlements there in the ninth century, subjugating the local populations. The level of Norse influence upon the people of Scotland and its islands was so great that today, Shetlanders have 44 percent Scandinavian DNA, the Orkneys’ inhabitants have 30 percent, and those who live in the Western Isles have 15 percent. The inhabitants of the Orkney and Shetland Islands spoke Norn, a dialect of Old Norse, until the nineteenth century. The influence didn’t just go one way, however. 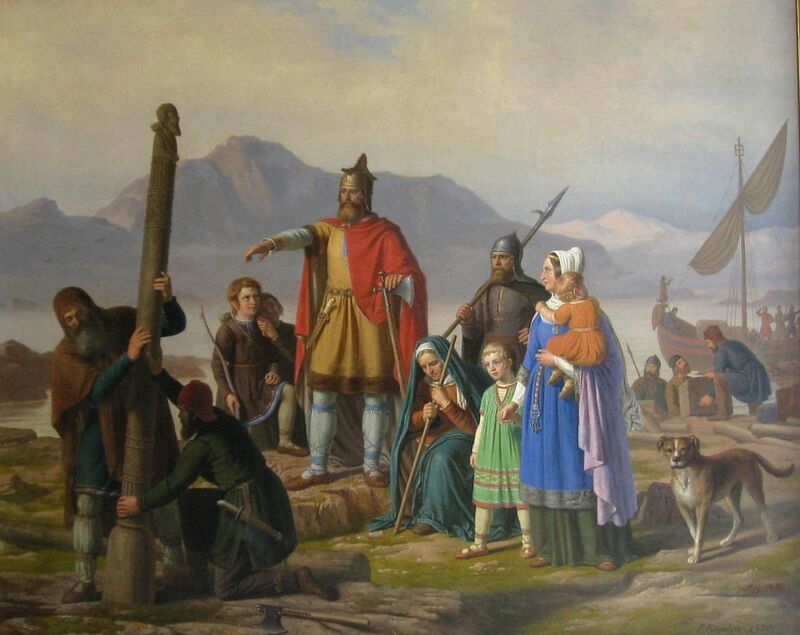 The Norse adapted to the local customs, including becoming Christians. Over the course of the ninth century, as the Vikings settled in Ireland, they became more and more integrated into Irish society. They fought wars on behalf of Irish leaders, intermarried with the Irish, adopted Christianity, and so forth. The Irish had no particular tradition of trade with the outside world, and relied on the enterprising and well-connected Vikings to perform this activity on their behalf so that they could enjoy the fruits of interaction with international markets. While Viking settlements in Ireland were confined to trade towns – the Irish made a point to keep them out of the rest of the country – those trade towns had a great impact on the contemporary and subsequent character of the country. One of them, Dublin, is now Ireland’s capital city. 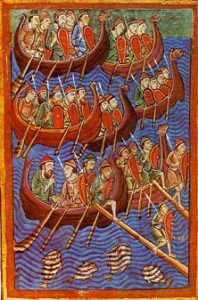 As Viking raids became more common, local kingdoms turned to granting lands at the mouths of rivers to Norse chieftains in exchange for protecting them and becoming Christians. The region of Normandy in France was given to the Viking chieftain Rollo in exchange for his protection of the Franks. A similar arrangement was made with the Danes Harald and Rorik with Walcheren, an island in Frisia. The Norse who settled these lands under their chieftains became assimilated into Frankish culture over time. Scandinavians also founded the Rurikid dynasty that ruled Russia from the ninth to the sixteenth century. They were called the “Rus,” and it is from them that “Russia” acquired its current name. Although the Russian population remained mostly Slavonic, the ruling class descended from the initial Viking conquerors. Want to learn more about Viking explorations and settlements, and the Vikings in general? 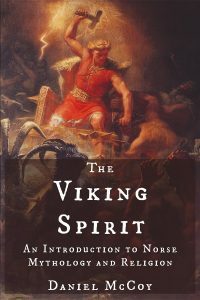 My list of The 10 Best Books on the Vikings will surely prove helpful to you. Graham-Campbell, James. 2013. The Viking World. p. 69-70. Graham-Campbell, James. 2013. The Viking World. p. 70. Roesdahl, Else. 1998. The Vikings. p. 269. Graham-Campbell, James. 2013. The Viking World. p. 74. Wilson, David M. 1989. The Vikings and Their Origins. p. 80. Roesdahl, Else. 1998. The Vikings. p. 272. Winroth, Anders. 2014. The Age of the Vikings. p. 60. Graham-Campbell, James. 2013. The Viking World. p. 74-75. Roesdahl, Else. 1998. The Vikings. p. 262. Graham-Campbell, James. 2013. The Viking World. p. 75. Winroth, Anders. 2014. The Age of the Vikings. p. 63-64. Wilson, David M. 1989. The Vikings and Their Origins. p. 82-83. Winroth, Anders. 2014. The Age of the Vikings. p. 67-68. Graham-Campbell, James. 2013. The Viking World. p. 76-77. Roesdahl, Else. 1998. The Vikings. 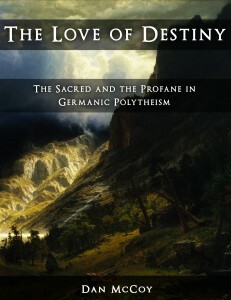 p. 275-276. Winroth, Anders. 2014. The Age of the Vikings. p. 57. Roesdahl, Else. 1998. The Vikings. p. 245. Graham-Campbell, James. 2013. The Viking World. p. 59-64. Graham-Campbell, James. 2013. The Viking World. p. 65. Roesdahl, Else. 1998. The Vikings. p. 225. Graham-Campbell, James. 2013. The Viking World. p. 25. Roesdahl, Else. 1998. The Vikings. p. 196. Winroth, Anders. 2014. The Age of the Vikings. p. 45-50. Graham-Campbell, James. 2013. The Viking World. p. 97.